Social media participation is a necessary part of an integrated marketing mix. Customers and prospects look for reviews and online activity before making purchase decisions. Joining the right networks can expand marketing reach and introduce your brand to new people. Social network site loyalty often follows when an active social hub generates leads and revenue. Becoming loyal to a platform is risky business because things change. Only a few years ago, MySpace was the top social site in activity and revenue. Facebook came along and left MySpace playing catch up. Shortly after Google+ launched, I commented online that it would contribute to Facebook losing relevancy within five years. Most of the responses I received included the word “crazy” in less than flattering messages. Now, less than three years later, Facebook activity is declining. Facebook was originally designed for young users. The appeal to that target market is gone. Teen interest in Facebook is waning. This is an immediate issue for brands that serve the teen market. It is a pending issue for brands that serve their parents. 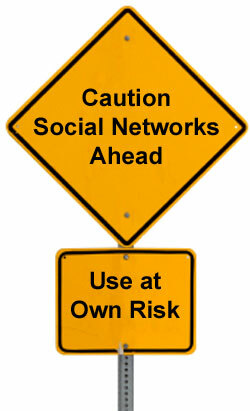 If the parents joined Facebook because of their teens’ activity, they will follow their children to other sites. Does the shift in teen activity mean that Facebook is dying? It is unlikely that Facebook will die. When you have over a billion users, activity will continue for some time. Social media is evolving as a marketing channel. Platforms expand and shrink depending on user demand and preference. Successful participation in the social channel requires the willingness to shift platform participation as customers and prospects move. Blind loyalty to social networks is suicidal. Establish internal benchmarks to provide a comparison for measuring results. Sometimes it’s simply impossible to capture detailed analysis from third-party networks. A good benchmarking program provides reference points so you can measure the unknown. Create URLs with custom campaign parameters to improve tracking. This helps you see if the links you share contribute to your revenue. People will come from multiple sources before making the purchase decision. Attributing sales to the right channels and networks helps define where future resources should be allocated. Capture email addresses on social networks to move people from third-party applications to your in-house database. The only data you can truly control is that which belongs to your company. Moving people from external online activity to in-house participation improves measurability. Monitor prospects and customers acquired via social networks for activity and lifetime value. Prospects acquired via contests tend to be low value because people will enter to win things they would never buy. Monitoring activity and lifetime value allows you to see if you are acquiring platinum or hit-and-run customers. Review every social networks revenue contribution quarterly to determine future activity. Things change quickly in digital marketing. Reviewing quarterly allows you to see trends before you have over invested in a shrinking social network site. You may find shrinking revenue from a site that’s in a growth mode. This is most likely due to changes in the sites algorithm that reduce the visibility of your posts. For more information on how to choose the right social networks for your business, email Debra at dellis@wilsonellisconsulting.com.